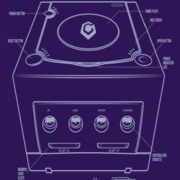 does anybody know a site that sell replacement gamecube shell's because i am looking to replace my console shell from it crack side and broke lid from falling off the table. Why aren't there any custom shells being made anymore? "Sands do not shift overnight. But they DO SHIFT!"